Google will be hosting its annual developer conference from May 8 to May 10. We expect a slew of new announcements from the Mountain View-based tech giant and here’s a roundup of everything one can expect from Google I/O 2018. 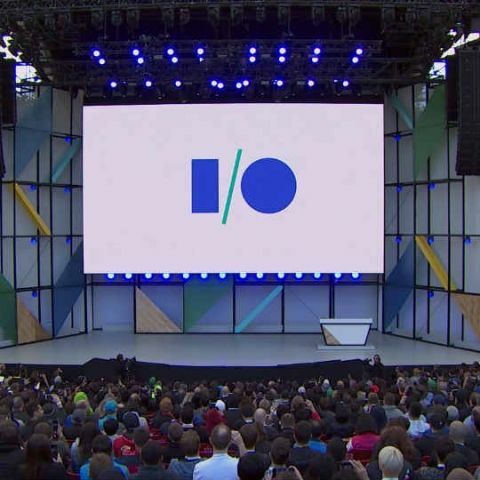 Google is hosting its annual I/O developer conference at the famous Shoreline Amphitheatre located at Google's Mountain View headquarters in the San Francisco Bay area. The event will take place from May 8 to May 10, starting with the company’s CEO, Sundar Pichai, delivering the Google Keynote at 10 AM PT (10:30 PM IST). The two-day event will be live-streamed here on the company’s official I/O website and on the Google Developers YouTube channel, here. 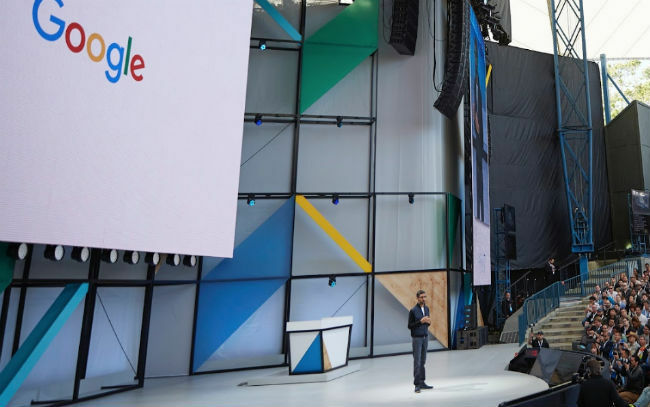 Last year at I/O, Google made available the first public beta for Android O, introduced Android Go, launched Google Lens, announced updates to the Google Photos app and lifted the curtains off of standalone Daydream View VR headsets. The search giant is also expected to make a slew of new announcements at this year's event and here’s a brief roundup of what one can expect from Google I/O 2018. The Google Keynote will be delivered by CEO Sundar Pichai at 10AM PT (10:30PM IST) and will be livestreamed around the world. Pichai will lead the keynote with announcements about latest products and platform innovations. This year, we expect Google to make some key announcements around Android P, Google Assistant, Android TV, Android Auto, AI & ML, as well as VR & AR. The announcements in the keynote will be followed by individual sessions, rountables and experiences for a more detailed insight into the new products and platforms. Android P will be one of the key focus areas for Google at I/O 2018. The latest operating system by the company is already in the hands of developers after the first developer preview was rolled out back in March. The first developer preview for Android P gave us a look at how Google plans to embrace the infamous notch which most smartphone makers are adopting in 2018. Reports also pointed out the Google is working on iPhone X-like gesture-based navigation support for Android P to help OEMs get rid of physical buttons and provide more screen real estate. At I/O 2018, Google might give us an official look at how this gesture-based navigation will function on Android P devices. 9to5 Google had posted exclusive renders of Android P’s gesture navigation back in April, showing that Google is completely doing away with the square “Recent” button, allowing users to swipe up on a new pill icon to access the multitasking screen. We may see more of this at I/O 2018 when Google releases the second developer preview for the OS. The Google Assistant has come a long way since its launch. The AI-based digital helper is found on both Android and iOS smartphones, Google's own apps, smart speakers, and now, smart displays. We are pretty confident that Google will expand Assistant’s reach and features at I/O 2018. One of the themes of Google I/O this year is ‘Beyond Mobile’ and its description reads - “Expand onto new screens and push the limits of what’s possible”. We hope to see some Assistant-powered displays which were first showcased at CES this year. The displays failed to make it to MWC 2018 and we hope to get our hands on them this time around. Actions for the Google Assistant is something Google spoke about at its Google For India event late last year. Google Assistant’s Actions are supposed to work similar to Amazon Alexa’s skills, and integrate third-party services with the Assistant. Google has a session dedicated to Actions for the Assistant and its description reads - “Learn how to launch an Action that will make your existing services available on hundreds of millions of devices through the Google Assistant”. We hope Google is finally bringing Actions to the Assistant and Google Home devices by roping in some popular services not only internationally, but also in India. This will make the Google Home a much more relevant device in India as currently Amazon’s Echo has an edge over the former due to its 15,000+ skills on the platform. 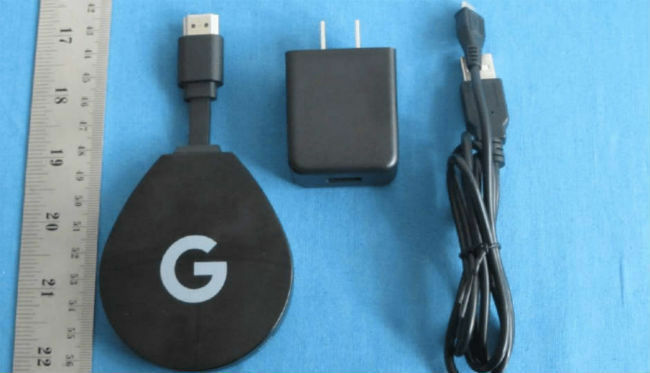 An FCC listing from April this year showed a mysterious Android TV dongle accompanied by a remote with the Google Assistant button on it. The dongle also had Google branding on it sparking rumours that Google could launch the device at I/O 2018. The said Android TV device was listed featuring Android Oreo, dual-band Wi-Fi 802.11 a/b/g/n/ac, Bluetooth 4.1, and an Amlogic S905X processor with 2GB RAM, 8GB storage. 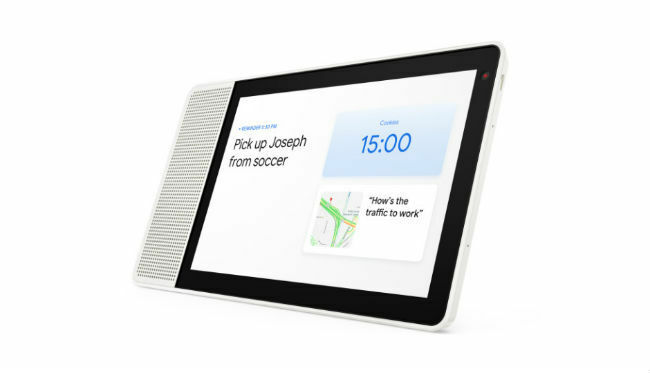 However, from the look of the device, it does not seem like something Google would launch for consumers. Rather, this could be a device for developers, a successor to the ADT-1 developer kit, which consists of a streaming media player and game controller designed for running and testing apps built for Android TV. Android Auto is expected to get a facelift at Google I/O 2018. We expect some visual changes to both the app as well as the in-car platform. Also, it looks like the Google Play Store is headed to the in-car infotainment platform, allowing users to download apps directly in their cars. You can read more about it here. ‘Building the future of AI for everyone’ is a session being hosted by Google at I/O 2018. The session, we are told, will highlight some of Google’s achievements in the AI and ML space, along with some new announcements. Google has been working on a bunch of AI experiments, including those for Google Photos and Pixel’s camera. One AI feature announce at I/O last year was image obstruction removal which was supposed to remove any obstructions from an image clicked through Pixel phones. This might just finally show up at I/O 2018. We may also hear more about Google’s TensorFlow AI platform and the use of cloud TPUs (Tensor Processing Units) for image classification, object recognition, language modeling, speech recognition and more. Google announced standalone VR headsets powered by Daydream at I/O 2017, however, apart from the Lenovo Mirage Solo, we have not seen any other third party headset makers hop onto the platform for a standalone headset. HTC and Google reportedly cancelled plans to launch a standalone Daydream Vive headset in the US, and we haven’t seen any such device in India as well. We might catch Google finally make some progress in this area and also see some prototype headsets that provide AR and VR experiences in Unity. Those are all the major announcements we expect from Google at I/O 2018. Of course, one can expect a few surprises from the Mountain View tech giant at the event. Google is said to be working on a mobile gaming service to let users game with their friends on one platform. Google has confirmed that a gaming project called ‘Arcade’ is in the works and we might hear more about this exciting new venture at I/O 2018.